The Goochland County Lions Club is at it again! They have donated $500.00 to the YMCA Bright Beginnings program. This is just one of the many different programs they support throughout Goochland County. 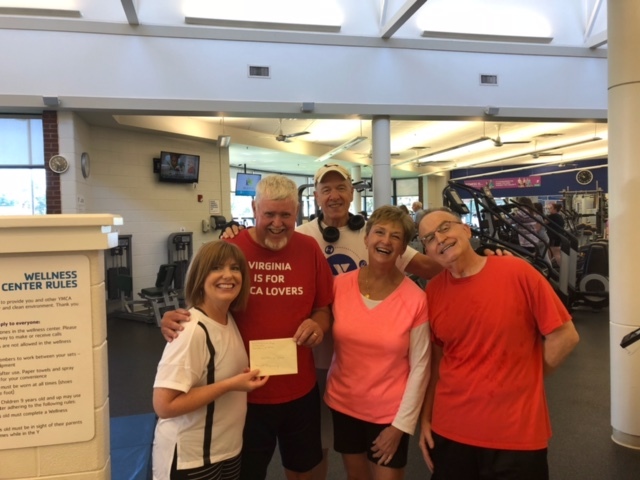 Vice President Bernadette Stillwell, Secretary Mike Winn, Treasurer Bob Hammond, and Bob Leach were present when the check was presented to Goochland YMCA Director Kelly Lindquist. “Our Goochland Lions were pleased to aid the local YMCA with this year’s Bright Beginnings program”, says Vice President Stillwell. The YMCA Bright Beginnings program is designed to help purchase much needed school supplies for underprivileged children. “Our Goochland Lions were pleased to aid the local YMCA with this year’s Bright Beginnings program”, says Vice President Stillwell.